Wealthy millionaire Walter Scottsdale is hosting his annual masquerade party. But tonight's guests have more than partying on their minds. Someone is embezzling from his company, Stone Rich Jewelers, and Walter is none too happy about it. 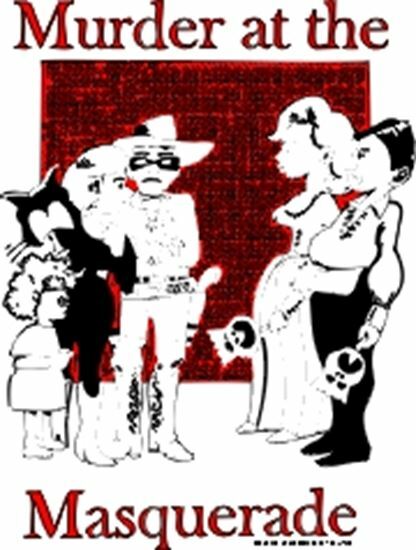 The vibrant cast of characters includes Romeo and Juliet, Little Orphan Annie, and the Lone Ranger. But where's Tonto? That's where you come in. Audience participation can range from a role in the show to simply dressing up in costume! This masquerade party is the perfect place for mistaken identity and therefore a perfect place for...murder! A farcical comedy with fun, singable music including "Tonto's New Career" and "Annie's Big Secret," the latter of which is sampled at right.